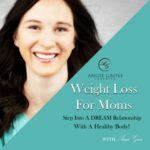 Weight Loss For The Military Moms Podcast: Ep 01 – 2019 HELLO Military Mommas! 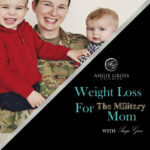 Welcome to the 1st episode Weight Loss For The Military Moms Podcast. Hello Military Mommas!!! I am so excited for the re brand launch of the podcast Weight Loss For The Military Mom. If you are someone who has been following me for awhile you are more than welcome to stay and hang out with us! This week I have a special guest to kick off 2019. Meet Caroline. She is a rock star Military momma, doing all the things, and killin it in the weight loss department. Listen now to hear her story and kick off the New Year with Weight Loss For The Military Mom podcast! If you would please leave an iTunes rating or review for the podcast from your iPhone or iPad. If you have a PC you can download the podcast app for free on your computer. The same instructions apply.